Kathryn “Kayte” Marshall is a senior at Howell High School, and this is her third year as a member of the Main Four. She has been a staff writer for three years, and an editor for two. This year Kayte will be taking on the role of Editor-in-Chief, as well as the manager of all of the Main Four's social media outlets. Outside of school, Kayte is a mother to ten houseplants (and counting). In her spare time, Kayte can be found listening to musical artists that most people have never heard of, such as Paramore, PVRIS, Lauren Sanderson, and many more. 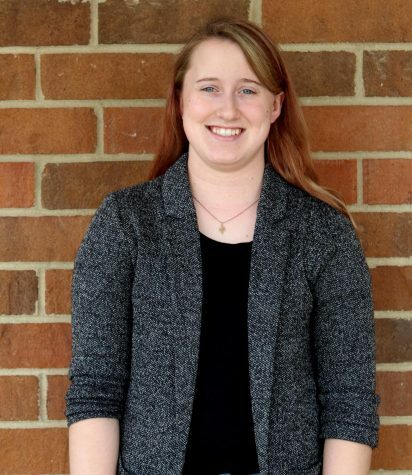 After graduating from high school, Kayte hopes to attend Michigan State University to study journalism and pre-law. Her dream jobs are to be a writer or editor for either the Rolling Stone or Vanity Fair, her friendly neighborhood Spider-woman, and to own a music-themed coffee house on the side. Kayte also intends on having all windowsills in each and every house she lives in to be lined with numerous succulents and cacti, and believes that everyone should own at least one or two houseplants.